EAS supports various educational actions like the European Course on Basic Aerobiology and the European Course on Advanced Aerobiology. Please find here dates and details for various courses. The Basic Aerobiology Courses have been devised as a result of the growing interest in monitoring airborne particles. The increasing number of national aeroallergen networks that have been set up has enabled scientists to compare procedures and deepen fundamentals of monitoring techniques. Consequently the need for a higher quality level of analysis and for a standardization of procedures has emerged. To the purpose, an educational program to train technicians and laboratory workers has been brought forward and was started with a series of European Courses in Aerobiology. The first European Course was held at Krems, Austria in 1993. The last one was held in July 2017 in Fiskebäckskil, Sweden. Here is an overview of this basic course. 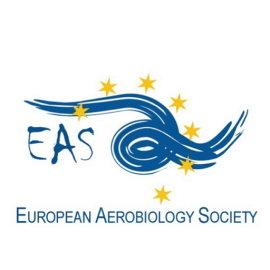 EAS offers two grants for covering the inscription for Basic Course on Aerobiology ( more information for here ). International Association for Aerobiology regularly organizes Advanced Aerobiology Courses. For more information, please visit IAA website.